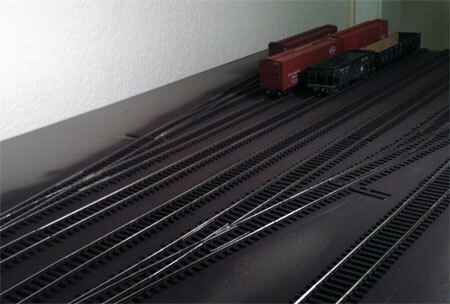 Building a model railroad involves assembling track components into a design that meets a desire to operate or follow a prototype location. 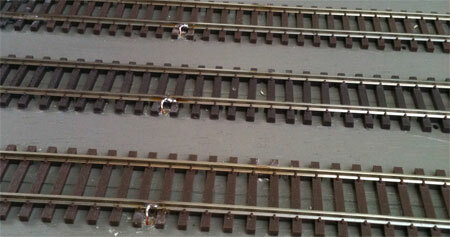 In many cases, three-foot sections of flexible track are joined together, or joined to track switches, as the mainline is installed. Often a tie or two is clipped from the track ends in order to connect the pieces with rail joiners. Installation proceeds and eventually the completed track is tested with a few freight cars and a locomotive before it is deemed complete. 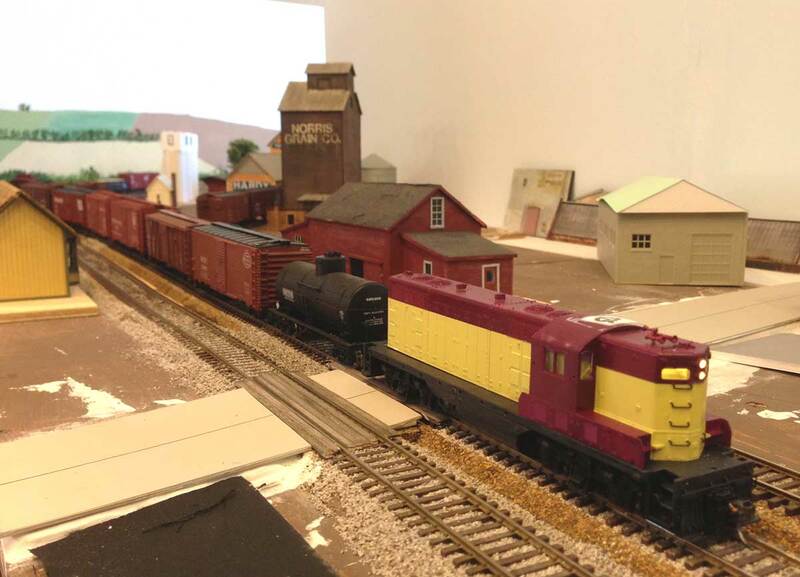 Model railroading is the sum total of a variety of elements as an individual builds their dream layout. History, carpentry, engineering, painting, geology, architecture, electronics and electrical, and other components all combine for the final presentation. Each of these components may have additional aspects. As an example, electrical can consist of work with switches, relays, wire, and soldering. 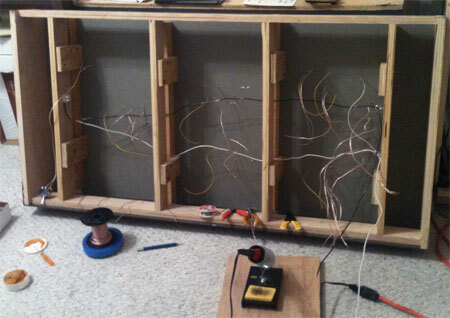 A view of the wiring tasks. 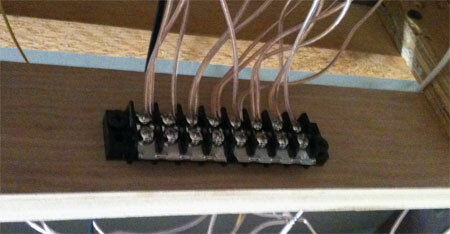 I worked on the layout over this past weekend and completed the electrical wiring on the yard throat module. While surveying the work, I realized I had not made much progress in the last 4.5 months. Of course, I do consider wiring to be sheer drudgery, yet it is a necessary evil to complete in order to make the trains go. I guess I’ve just been avoiding this work as the fun factor is quite low. It’s a basic human trait to avoid the stuff we don’t like to do. A terminal strip is used for multiple connections. Over just a few days, I’ve completed the following tasks on the yard throat module. One view of the module surface. Successful completion of this work inspires and motivates me to keep moving forward. This is how my hobby ebbs and flows. I’ve rarely achieved a straight line progression in task completion. There are often bursts of activity followed by a quiet stretch. At this point, only one module remains to be electrically completed. I hope to wrap that one up in the next week as the B&O Wheeling Freight Terminal project moves closer to operation. Everything looks a little better with a few freight cars. I welcome your comments. All comments are reviewed and approved before they appear here.